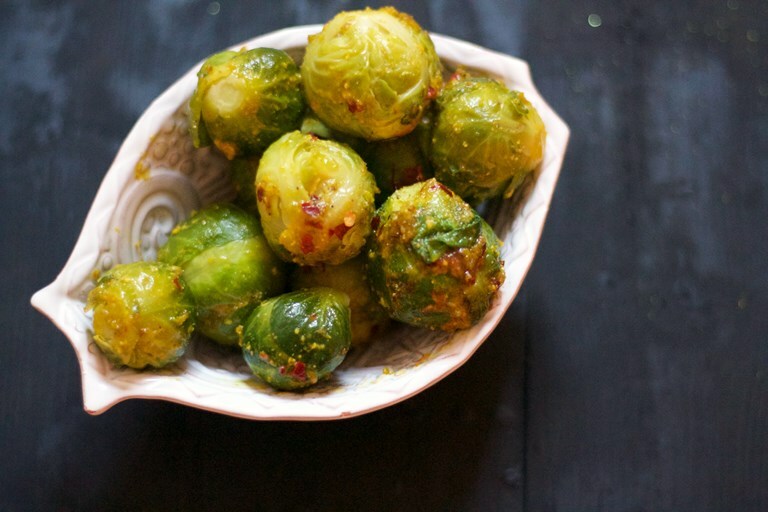 Sumayya Usmani adds some Asian flavours to this traditional Christmas side dish by coating her Brussels sprouts in a delicious flavoured butter. The heady aroma of saffron and delicate nuttiness of pistachios are perfect with this sprout recipe, while a sprinkling of chilli flakes adds a little festive heat. 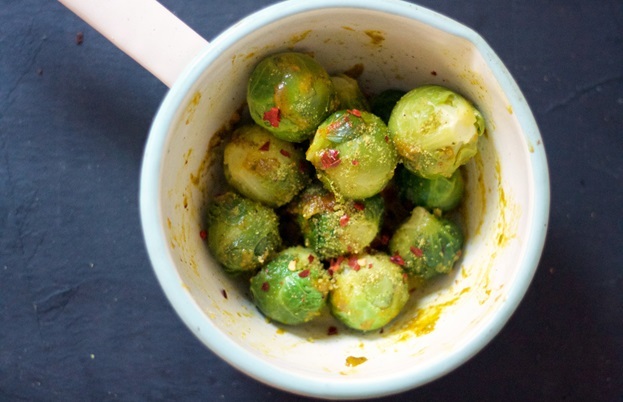 Although there is no real tradition for having Brussels sprouts at Christmas in Pakistan, I still love to give these some South Asian flavour by combining them with a saffron and ground pistachio butter and sprinkling with a spicy hit of red chilli flakes. The result is an unusual blend of spices that set off the green, leafy flavour of sprouts well. 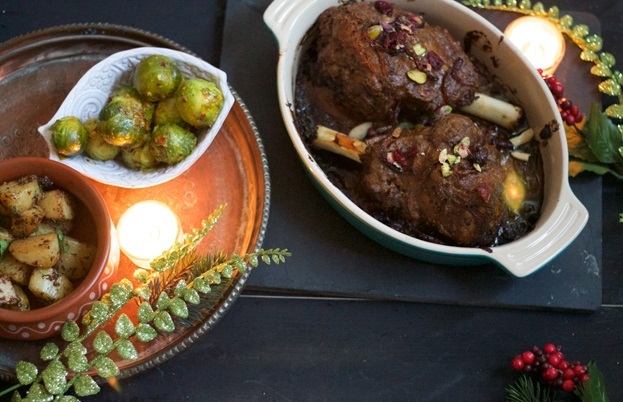 For a full festive feast, why not try serving these with Sumayya's Kashmiri-style lamb shank recipe, which is packed with flavour from rich spices, crunchy pistachios, almonds and seasonal cranberries.